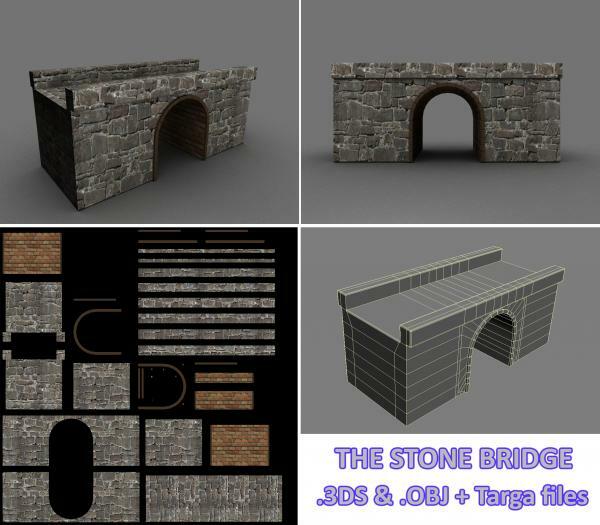 Model of an old stone bridge. I built this just to practice my UVW Unwrap... I better keep practicing lol. Im sure someone can make a much better map for this model, see what you think. Thanks and Enjoy! Fine & useful ! Thank you !!! static (5 years ago) Inappropriate? ooe3oo (5 years ago) Inappropriate? EdgeVerse (5 years ago) Inappropriate? Welcome. I loaded it in Poser, loaded nicely. Great textures. hypnagogia (5 years ago) Inappropriate? Thanks! made in 3ds Max. Great Model. Was this done in wings? FoolooF (5 years ago) Inappropriate?